Despite a great tradition of sculptors who's ancient works are admired by Sri Lankans as well as foreign tourists, one doesn't find much contemporary sculpture in Sri Lanka. Modern artists in the country don't seem to like working in stone that much. Most contemporary Sri Lankan artists concentrate on painting. 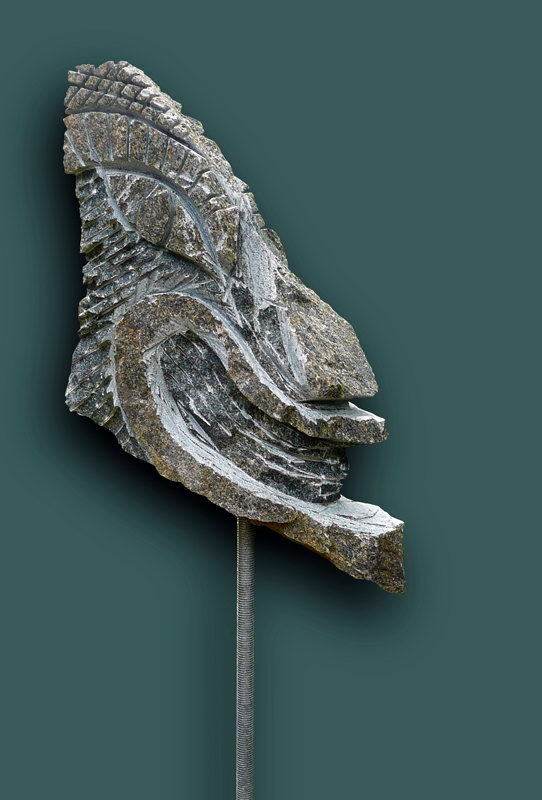 A. Kalugalla feels connected to the great artist that carved stone sculpture in ancient times. He revives the art of sculpting.